Over time, due to weather conditions and the force applied by cars, asphalt tends to lose its strength and deteriorate. This is when cracks can start to appear, or there can be no visible signs of wear. However, it doesn’t mean that it needs to be fully redone, there is always a more cost effective way. Being one of the leading driveway sealing companies on the market, we believe that restoring your driveway through sealing is often the best way to go. When sealer is applied not only does it give you a newer look to your driveway, but it also protects the driveway in the long term. Action Home Services is proud and committed to provide our customers with only the best products on the market. The sealer that we have been using for the last 5+ years has shown tremendous results to the extent where we are proud to provide all our customers with warranties on all the jobs completed. Many companies on the market tend to water down their sealer in order to cut cost and maximize their profits. Action Home Services believes in quality over quantity. 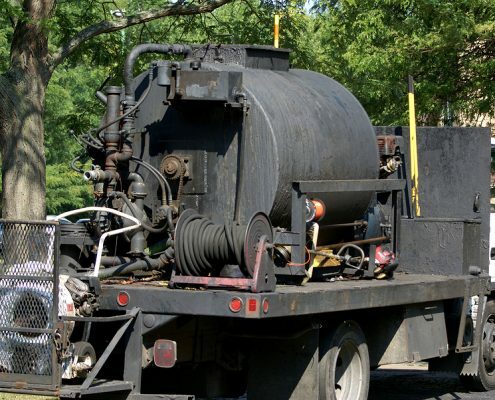 With age, you will notice that the asphalt will start to crack and sink in the spots where more pressure is applied due to parked cars, trailer or any other machinery. The reason why that happens is due to improper application of asphalt at first stages. 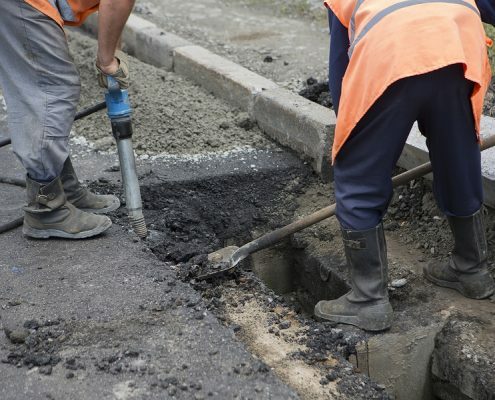 Very common mistakes can be done at earlier stages such as; poor drainage, improper compaction of the base under the asphalt or incorrect asphalt temperature when applied. 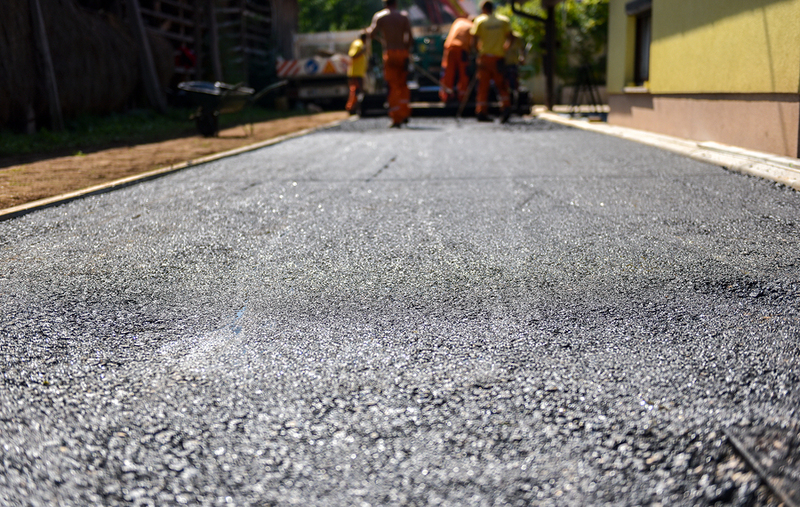 Here, at Action Home Services we will not only protect your driveway for years to come but also repair and patch any damaged asphalt. 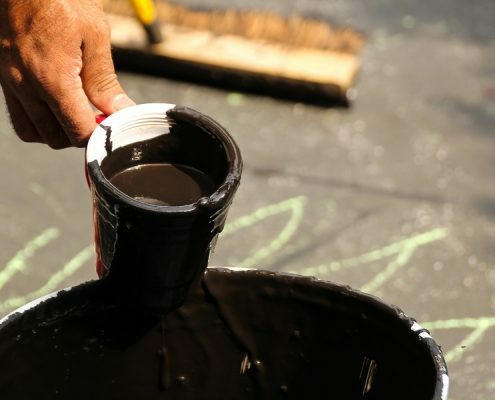 Our highly experienced team will ensure that after the sealer is applied on your driveway, it will make you say, “Wow” and ensure that the driveway looks like a brand new. All projects of Action Home Services get examined upon completion by one of the managers to ensure that the highest customer satisfaction is achieved. Over the years on the market, Action Home Services did 1000’s of driveways and satisfied our customers, that often a driveway sealing job can after turn into a big landscaping project due to our commitment to always do the best we can. Action Home Services is an experienced and driveway sealing contractor serving Toronto, Markham, Vaughan, Scarborough, Brampton, Mississauga, Burlington, Oshawa, Richmond Hill, Milton, Oakville, Aurora, Caledon, Pickering, Whitchurch – Stouffville, Ajax, Whitby, New Market.